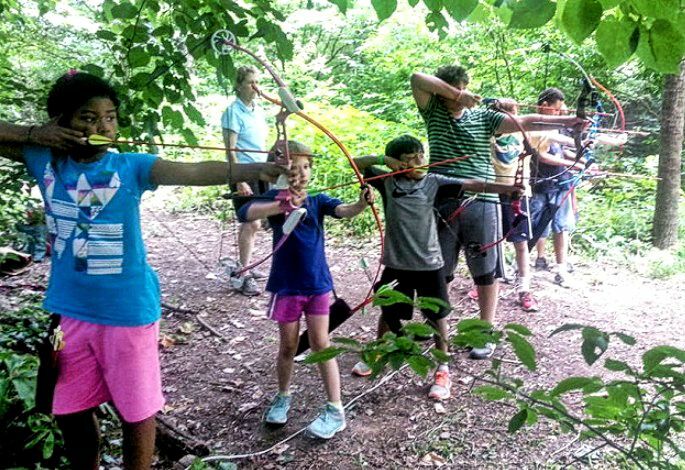 Explore Awbury’s AdventureWoods while learning basic archery skills or improving your archery technique as well as learning how to safely whittle your own wooden knife, totem animal and more! The club will meet for 6 Wednesdays – October 3rd through November 7th. Deadline for signup is Friday, September 28th. This class is for children ages 8-12 years old. The fee is $85 for all six sessions, all equipment and materials will be provided. There is a $10 membership fee for 4H in addition to the $85 dollar fee unless your child is already a 4H member or attended Camp Katniss at Awbury in summer 2018. Sessions will be taught by Piper Burnett, 4H trained archery instructor, and Hideko Secrest, Awbury wilderness survival teacher.